Several Israeli army jeeps invaded, Tuesday, Kafr al-Lubbad village, east of the northern West Bank city of Tulkarem, searched many homes, and abducted a young woman in addition to illegally confiscating 10.000 Shekels from the family and damaging their car. Hatem Fuqaha’, said the soldiers abducted his daughter Alaa’, 24, after interrogating her and the family while violently searching their home. The father added that the soldiers also illegally confiscated 10.000 Shekels from his home, and damaged his car, which was parked in front of his property. In addition, the Palestinian Prisoners’ Society (PPS) has reported that Israeli soldiers abducted, on Tuesday at dawn, six young Palestinian men from their homes in the West Bank governorates of Qalqilia, Salfit and Bethlehem, and injured a recovering patient after assaulting him in his home. 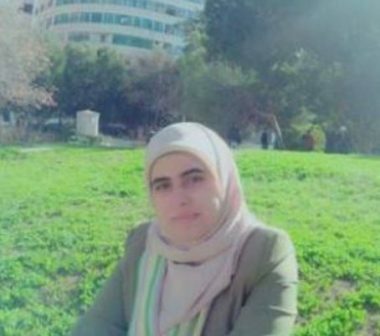 In Hebron, in the southern part of the West Bank, the soldiers invaded several areas in the governorate, searched homes and abducted two Palestinians, including a woman who is also a former political prisoner.